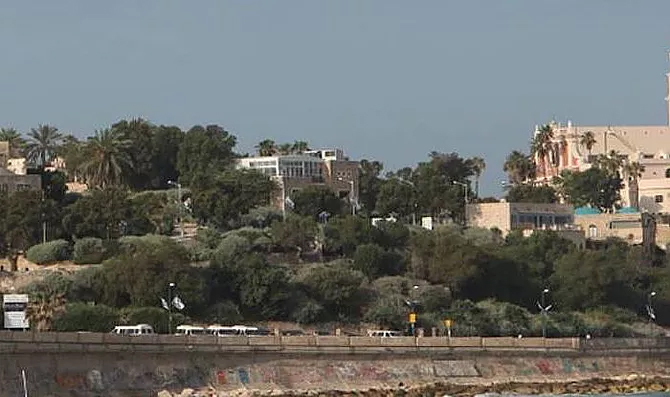 The Slope Park is the first park of Old Jaffa. The park was planned 40 years ago by Avraham Carvan Z”L, who was the manager of the Planting Department in the Tel-Aviv-JaffaMunicipality. The park is located entirely on the structures and foundations of destroyed houses. The park’s area is about an acre and a half, and it occupies the area between the Shlomo Bay Promenade and the Second Aliyah Pier. The park offers a dazzling view of Tel-Aviv’s shoreline, the promenade and hotels located along the beach, and the Second Aliyah Pier, where fishermen often stand until late at night. At the upper edge of the park sits St. Peter’s Church (whose front faces Kdumim Square), that is home to the Vatican’s Embassy. Cast iron shore batteries, which were discovered in excavations of the Jaffa Harbor, are placed at the upper entrance of the park, evidence of Jaffa’s capture by Napoleon and his army in 1799.